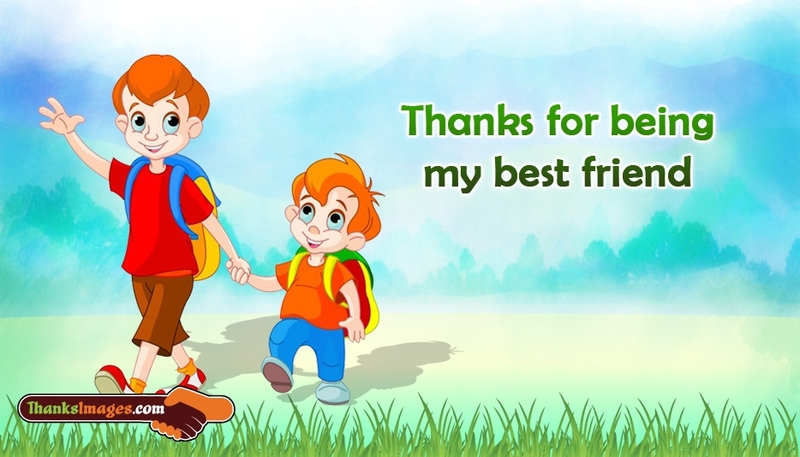 A charming and cute image to thank your friend. The image depict two small boys, where one is holding the hand of other and moving on happily. This image could be used to appreciate and honour your friend for all the guidance, care that he has taken for you in the path of reaching the success or victory. You can show your thankfulness by free downloading and sharing the image with the text "Thanks for being My Best Friend" on any social media channels.